Baker has this way of instantly disarming people, making them feel welcome in a matter of seconds, both in person and through her music. This was obvious from the immediate response to Sprained Ankle, which 6131 Record picked up from the EP that Baker self-released to Bandcamp. Vulture and Stereogum gushed over it before it was even released. The New York Times got on board less than six months later. Baker’s candid reflections on her faith, sexuality, addiction issues, and mortality instantly resonated with people, her hushed singing voice and delicate guitar lines inviting listeners to let down their defenses and join her in the intimate space she built. Before long, Baker was opening for the likes of Death Cab For Cutie and Belle & Sebastian, having her songs covered by Brand New and Dashboard Confessional, and being tagged in an untold number of tweets about how her music makes people cry. When she announced Turn Out The Lights, her debut for indie powerhouse Matador Records, preorders for its exclusive vinyl were gone within the hour. 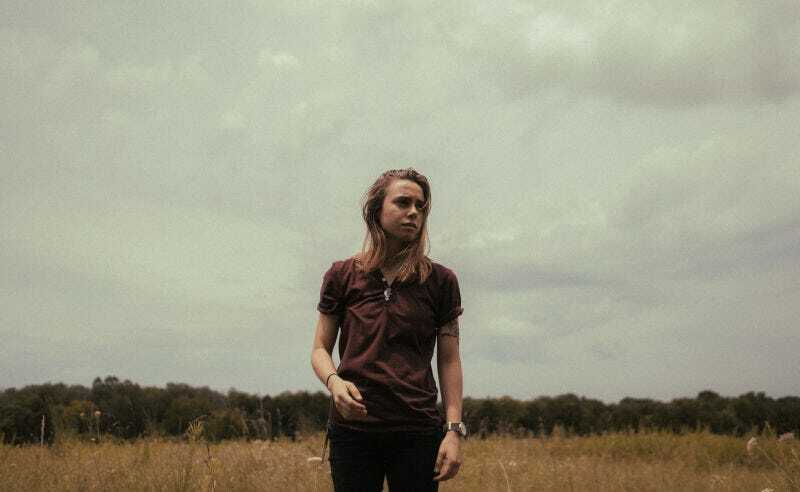 The cult of Julien Baker came on quickly—and intensely. That burden of expectation naturally falls on Turn Out The Lights. With Sprained Ankle, she’d immediately conjured the kind of connection that artists spend a lifetime building, her music taking mere seconds to carve out a space in even the most jaded hearts. It took people by surprise; now they anticipate it. It’s something Baker is aware of, but rather than giving her anxiety or unease, she says it’s only increased her focus. The result is an album of even more nuanced songwriting and instrumentation that, while still sparse, feels downright robust in comparison. Turn Out The Lights doesn’t deviate from the sound of its predecessor—it’s still chiefly ornate guitar passages flanking Baker’s often whispering vocals—but it’s more richly detailed. First single “Appointments” captures this complexity, with Baker, playing guitar backed by piano, crafting a song that builds to a disorienting climax of overlapping vocals pinging against one another. On Turn On The Lights closer “Claws In Your Back,” Baker offers the most direct rejoinder to that sort of self-pity. “The last track on Sprained Ankle is this sort of very dramatic petition to God, saying that I’m done with all this temporary suffering and I would love it if we could move on to the next plane of existence,” she says. “Which is, you know, a really bleak thing to say. ‘I’m done living. I’m tired of life. I want to move on, ostensibly, to some place that is better.’ And [“Claws In Your Back”] is, hopefully, the antithesis to that. Discovering that, despite all those things that we experience, that I’d rather stay.” The whole album plays with this dichotomy, ruminating on the deep, darker moments of life but resolving not to get mired in the messiness. “Songs like ‘Appointments,’ and ‘Happy To Be Here,’ and ‘Claws In Your Back’ are about inhabiting paradoxes of thought—feeling like there is no hope, but choosing to believe that there must be,” Baker says. Baker’s compassion for other people is evident in the way she talks about them—the way she beams when I bring up her old tour mate Mackenzie Scott in Torres, or Sorority Noise’s Cameron Boucher (who plays on Turn Out The Lights), or her hometown of Memphis (especially Memphis), when she becomes the unabashedly joyful person that fans only ever see in flashes. And it’s there in her music, which gives its listeners the chance to hear their own struggles reflected in hers, to find some levity in their shared experiences, which is something that can so often give them a lifeline. Asked about her proudest career achievement so far, Baker tells the story of a woman she met in Amsterdam who gave her a letter explaining how Sprained Ankle had helped her through a rough patch. As a result, the woman decided to go back to law school with a focus on human rights. David Anthony is a writer living in Chicago. Krill forever.